The TONI&GUY Hair Meet Wardrobe Blogged and Bound project is in full swing. A few weeks ago we gave you a sneak peek at our collaboration, revealing the trailer and our shots for the book. This week we’re excited to share the rest of this blogger project with the release of our short film and the arrival of the book. In the days leading up to our video shoot, some of the worst weather throughout all of summer had been predicted. Thankfully, the clouds parted just in time for one of the most beautiful sunrises I have ever seen over Bondi. We started the day with a 5am call time at Ben Buckler Point and soon moved down to the boat ramp. The film shows us shooting a We Are Handsome swimwear post, popping into the Tuchuzy stores, writing an article at Porch & Parlour, and putting it all together at home. Big thanks to Jeremy and Indhra from We Are Handsome, Angela and the guys at Tuchuzy, the crew at Porch & Parlour, cinematographer James L Brown, Ash and the team at JWT and of course TONI&GUY. The soundtrack was provided by Bonjah ‘Something We Should Know’ and is now available on iTunes for your listening pleasure. I am pleased to say that leopard print, swimwear and my signature shade of aqua all made an appearance. WE ARE HANDSOME floral one piece. UNKNOWN white shirt (bought from local designer at Bondi markets). UNKNOWN anorak (borrowed from my photographer Luke). FRIEND OF MINE leopard mini-dress. SASS & BIDE silk singlet. MAURIE & EVE suede shorts (although you can’t see them). If the release of our short film wasn’t exciting enough, we also got our first look at the much anticipated Blogged and Bound book. 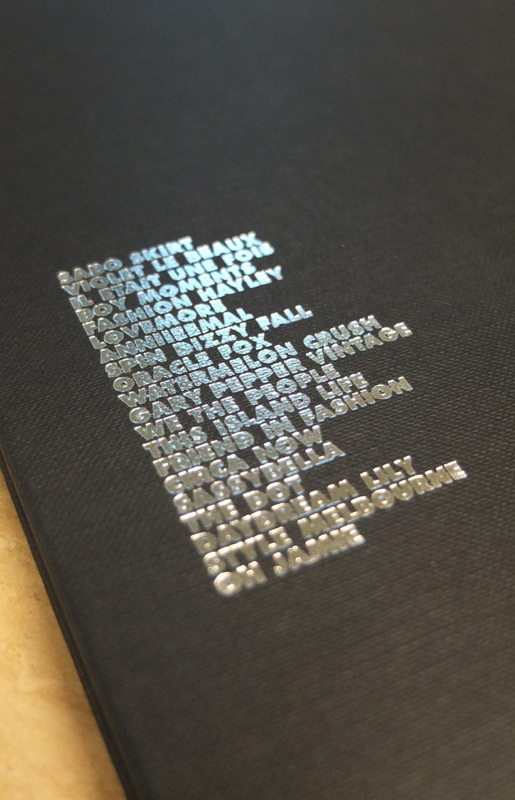 Featuring 20 of Australia’s most influential fashion bloggers, the hardcover book arrived alongside a beautifully presented package of products by TONI&GUY. Adding an extra touch to the campaign, each blogger was asked to choose their five favourite local hangs so a copy of the book could be distributed to each. I chose Bondi Massive, The Anchor Bar, Porch & Parlour, Le Paris-Go Café and my hair stylist’s salon. If you end up at one of them, make sure you have a flip through a copy. The concept behind the shoot was iconic 1970s Australian beach culture – the bikinis, the roller-skates and the cars. KSUBI denim mini (although it looks like I’m wearing no pants). STYLISTS OWN roller-skates and socks. Along with the images, you’ll also be able to read about my style. TONI&GUY did an interview with me (which is not in the book) to gather the information they needed to write the piece. It was really fun to think back to how my style first evolved through fashion and hair – check it out. Laura: Everything and anything inspires me. It could be a beautiful piece of art, a song on the radio, a swim in the ocean or someone with an amazing sense of style. Laura: The best way to describe my personal style is eclectic, edgy and classic. I love taking risks, but I don’t follow trends and tend to focus on well-made pieces that I can wear season after season. As much as I love shoes and bags, my thing is bikinis. At the moment I have around 30 sets including a bunch I bought in Brazil last year. Lately I’ve been mixing them up – wearing different tops with different bottoms. I wear a lot of jewellery and most of it I’ve picked up on my travels – I like each piece to have a story behind it. TONI&GUY: As a child, what did you want to be when you grew up? Laura: I was lucky to grow up in a creative environment with incredibly talented parents and siblings, so I was inspired creatively from the day I was born. I wanted to be the ultimate slashie (actress slash singer slash dancer slash artist slash fashion designer). As a small child I became super concerned with the Tooth Fairy not having enough clothes and would hand-sew ridiculously tiny outfits to leave under my pillow with my tooth. TONI&GUY: What were you like as a child? As a teen? Laura: I have always been a real girly-girl, but I grew up with a twin brother so I got the best of both worlds. One minute we were running around naked in the backyard having mud fights, and the next I was carefully styling an outfit for my Barbie. I was a bit of a perfectionist and used to pull out my pigtails if my mum did them unevenly. Even though I grew up in Maroubra, it wasn’t until we moved to Terrigal when I was 12 that I truly connected with beach culture. Life moved at a slower pace and the beach became a lifestyle that influenced everything we did. We’d have bonfire parties on the sand dunes, skip school to go to the beach and do surfing for school sport. TONI&GUY: What’s your favourite memory from childhood? Laura: It’s hard to pick just one favourite childhood memory, but one that stands out was spending a month in Bali when I was five. We didn’t stay in a resort like everyone else did back in the eighties. We stayed in a little village and hung out with the locals. I was already dressing myself back then, but I remember mixing my regular clothes with exotic Balinese pieces that used batik and beading. Even then I could appreciate the workmanship and detailing. TONI&GUY: What makes you happy? Laura: I don’t need much to keep me happy. Friends, family and the ocean. TONI&GUY: What are your hobbies? Laura: Reading, writing, making smoothies, travelling and anything to do with the water especially surfing, diving, swimming and bubble baths. 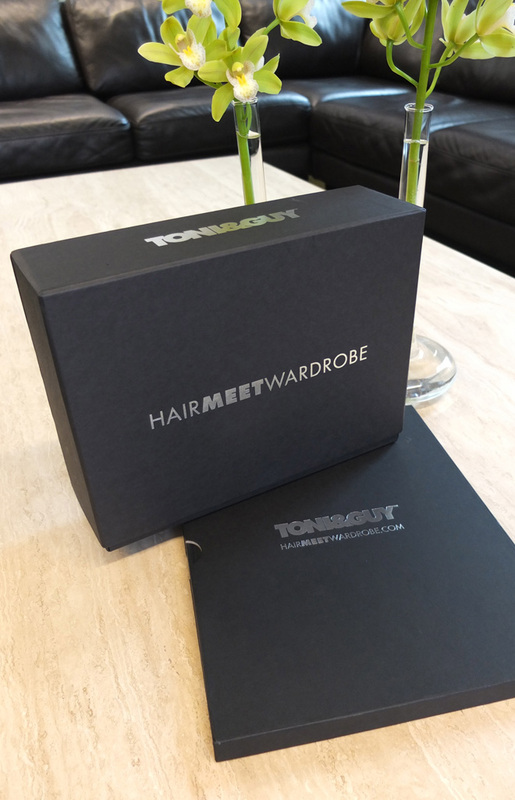 TONI&GUY: How does hair fit into your look? Laura: My hair reflects my lifestyle and my relaxed style. Because it’s long, I wear it in a variety of different ways depending on my mood or what I’m wearing. I have balayage so I like messy, unstructured beachy waves. And I love wearing it pulled back in a loose braid or messy top-knot. TONI&GUY: What do you love about your hair? Laura: I love having long, thick hair because it allows me to change my look easily by wearing it in an array of different ways. TONI&GUY: Have you ever done anything drastic to your hair? Laura: After only ever having long hair I decided to get it cut into a bit of a bob. I told my hairdresser at the time I didn’t want a blunt cut and she interpreted that as what can only be described as a mullet. I spent years growing it out and as a result, I have had long hair ever since. Laura: Bondi is an eclectic little suburb by the sea that attracts an interesting mix of people. It’s a base for designers, creatives, surfers, travellers, tourists and people who have been living there for 50 years – creating an explosion of different styles and a dream locale for people watching. 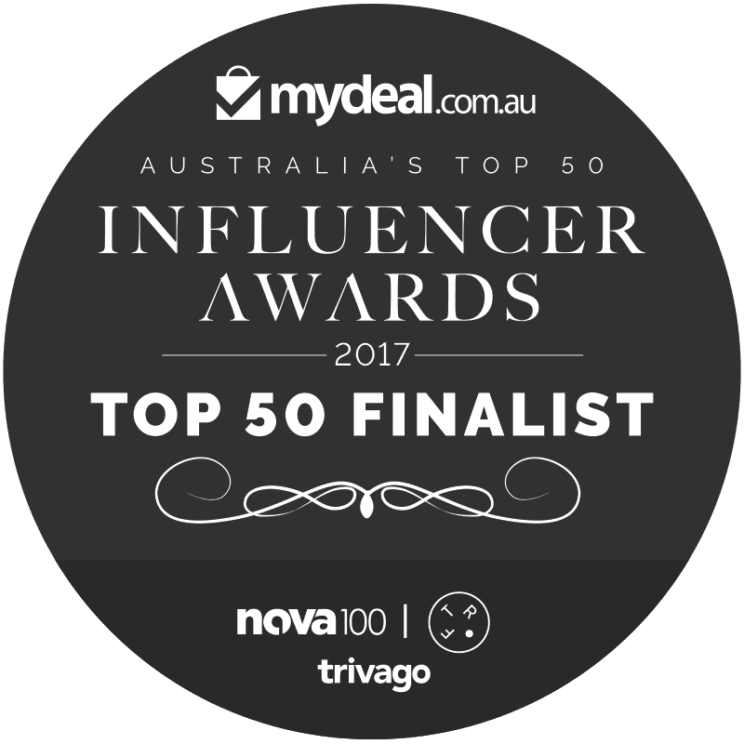 TONI&GUY: Why do all Australians love the beach? Laura: This statement isn’t true – there are plenty of Aussies who don’t like the beach. For the ones who DO like the beach, it’s exactly what I say on my blog. It’s that feeling you get when you wake up to the sound of the ocean on a perfect summer’s day. It’s the warm sun on your face, the wet sand between your toes and that good mood you just can’t shake.